The NHL post season is drawing close to the end as only three more games remain in the Stanley Cup Finals. 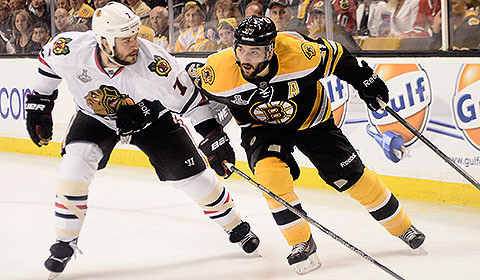 The Boston Bruins had the chance to be up 3-1 in the series going into tonight's game but Chicago beat the Bruins in game four tieing the series 2-2. 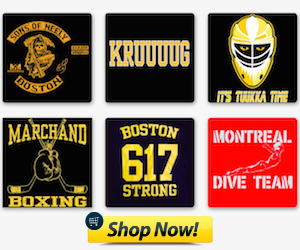 The Bruins are still in position to hoist the Stanley Cup at home if they win tonight and then again on Monday night. The task would be extremely daunting though because the Bruins and the Blackhawks are so evenly matched. 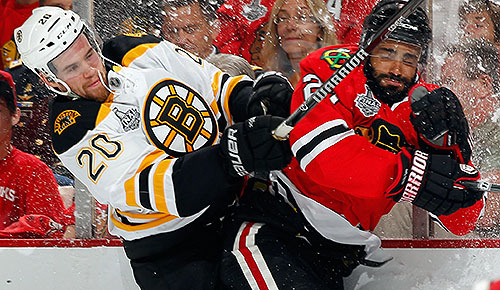 Tonight the Bruins will have to play as hard as they've played all series in order to beat the 'Hawks. 1) Chara. Zdeno Chara played awful in game four, perhaps the baddest we've ever seen the big man, and was directly responsible for one of the six goals that Chicago scored. Chara is the leader of the Bruins defense on and off the ice so in general when Chara is bad, the defense is bad. It was evident in game 4 as the majority of Bruins defense men had bad games. If Chara shapes up his defense than the rest of the team will follow suit. 2) Back To Our Game. 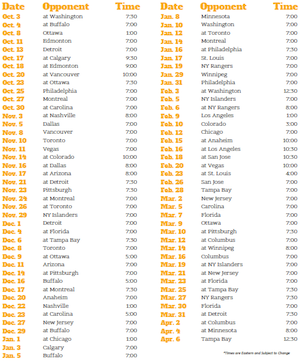 Its time for the Boston Bruins to get back to being the Boston Bruins. Game 4 was a high scoring and thrilling game but the Blackhawks are much more comfortable with that style of play than the Bruins are. The Bruins need to make it a low scoring grind game to get under the skin of the 'Hawks and break them like they broke Pittsburgh.